Arteast presents its annual Arteast Juried Awards Exhibition at the St. Laurent Recreation Complex from September 27 to November 19. We are having our vernissage on Thursday, 1 October, from 7:00 to 9:00 p.m. when awards will be presented to the winning participants. I invite to come out to view the artworks and congratulate the winners on the evening of 1 October. The invitation is attached. Hope to see you there. 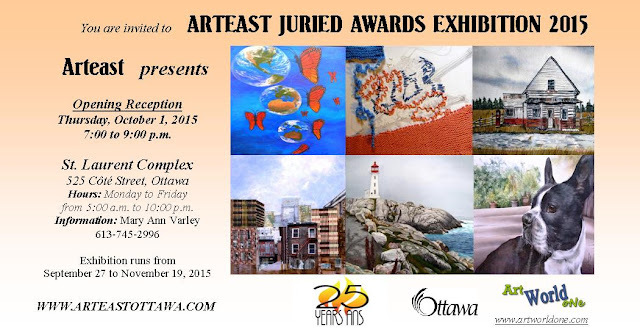 Call for art for the “Holiday Mix” exhibition at the St Laurent Complex Gallery, you need to have your pre-registration sent in via email to josiedemeo@bell.net by no later than November 6,2015. Cette évènement se passe durant la fin semaine, samedi, le 28 novembre de 11h à 17h ainsi que dimanche, le 29 novembre de 11h à 17h. We are looking for members to participate at BazArt (Holiday art event) at the Shenkman Art Center. We are looking for members to demonstrate their artistic talents for 1 hour or more. 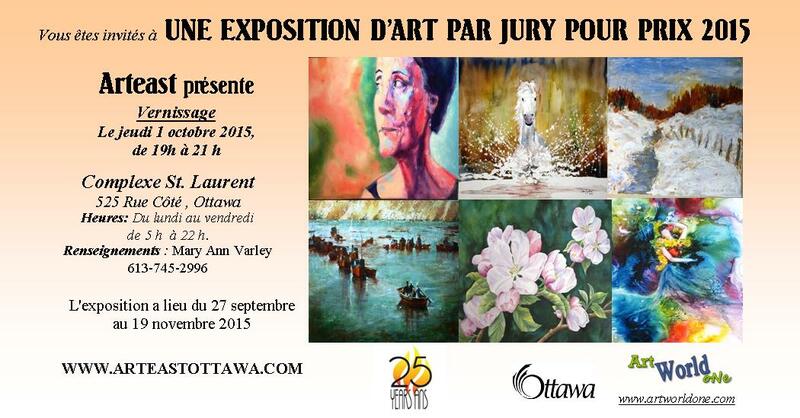 BazArt is during the weekend of, Saturday, November 28th 11am to 5pm and Sunday, November 29th from 11am to 5pm. Create a painting using the techniques of famous artists. Each week will feature a different artist. It will be a Canadian session with Emily Carr, Norval Morrisseau, Frederic Varley, and Mary Pratt. ATTENTION: This course has the wrong title and description in the recreation guide. Instead of what is mentioned in the recreation guide, the course is for everyone who would like to learn the basics of drawing and painting landscapes, still lifes, portraits, mixed media, and abstract works.